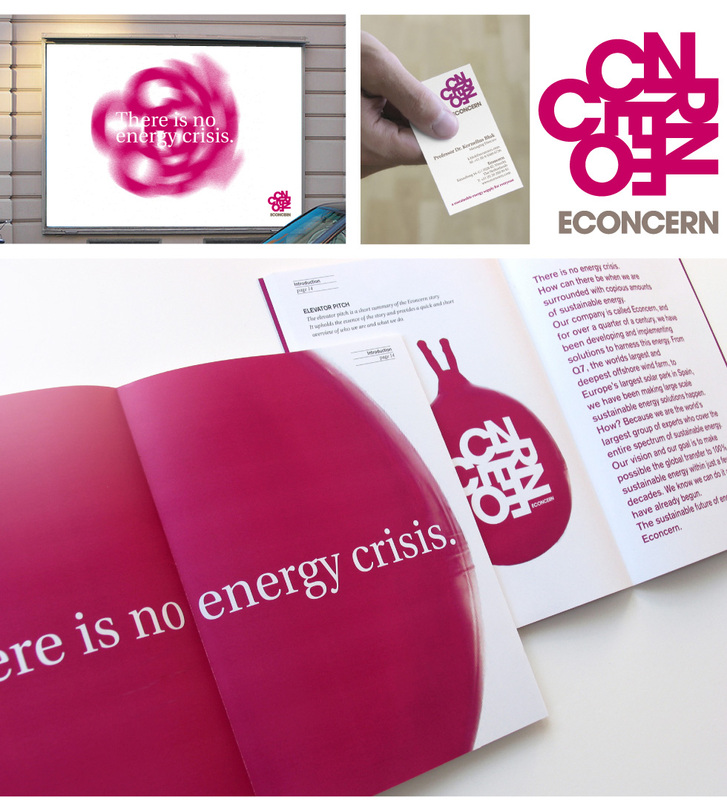 Econcern was an international company, which developed unique and innovative sustainable energy solutions. 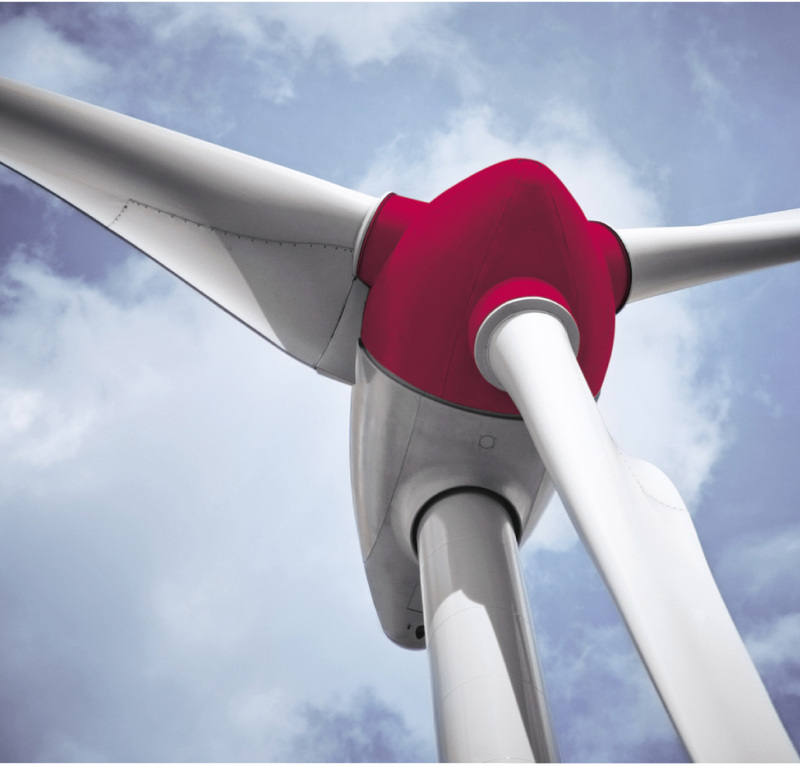 The company was, among other things, behind the development of what is, to date, the largest windmill park in the world, Princess Amalia, which is situated off the Dutch coast. Furthermore, Econcern was also behind the world's largest solar cell park in Seville, Spain. Econcern's headquarters were in Utrecht, The Netherlands, and was a company that was internationally recognized for its exceptionally high professional standard - Econcern had received the Nobel peace price with Al Gore for the development of the Kyoto Protocol. In the years spanning 2004-2008, the company experienced an explosive growth, with annual expansion rates hitting the triple digits. As a result of this, the management decided to redefine the company's strategy and goals, which also meant a new 'One Brand' strategy and a matching, new corporate visual identity. 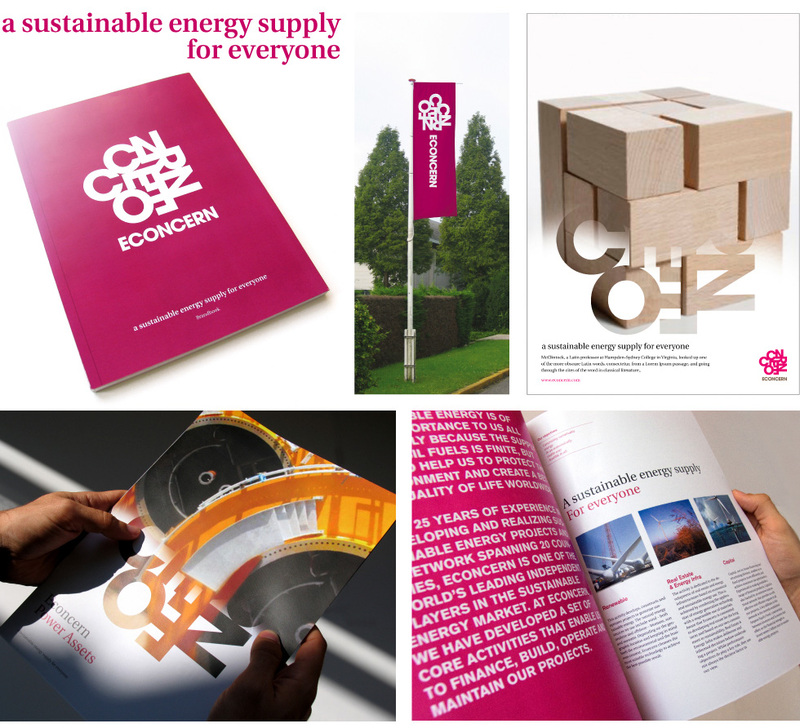 The task was to develop a new visual identity, which was as unique, unconventional and unrivalled as the company itself, and at the same time create space for future accomplishments, to create and set a new standard for visual identity. The inspiration for the solution came primarily from two sources; partly from Econcern's own accounts of the secret behind their success: "We think differently. 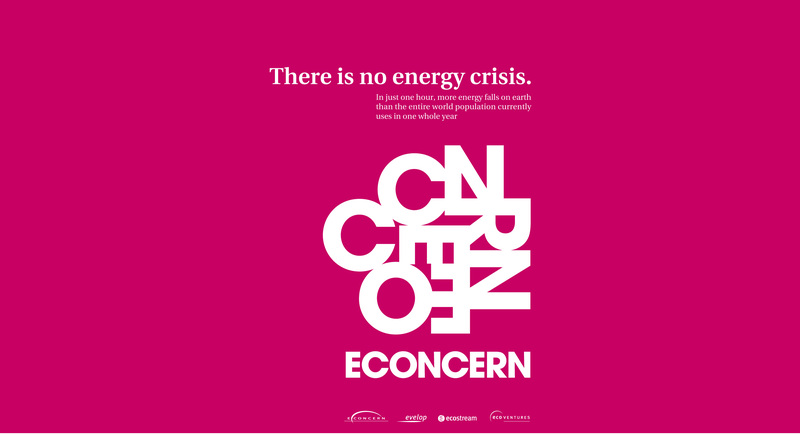 We find solutions by looking at problems in reverse," and partly from the fact that Econcern utilized the existing renewable energy sources (sun, wind, ocean, waves, etc.) as building blocks and constructed them in a new, experimental context which created unique and innovative energy solutions. 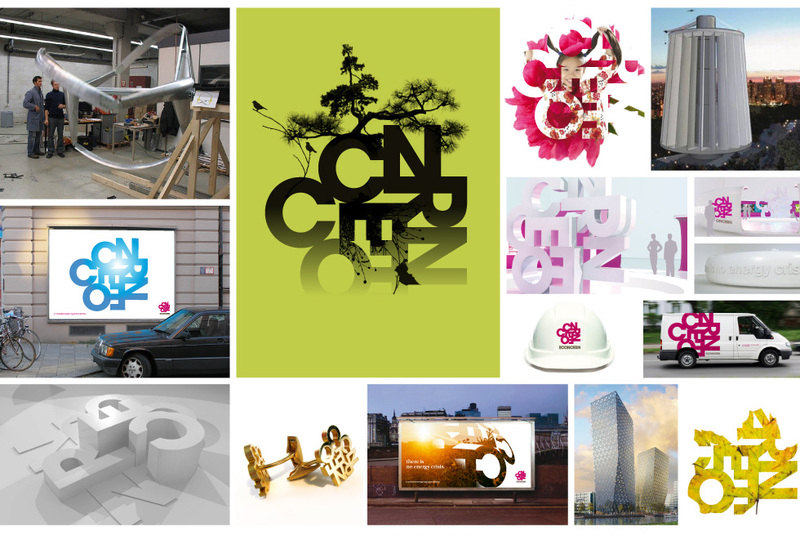 The logo consists of two elements: a monogram and an abstract symbol in a very unconventional choice of colour. 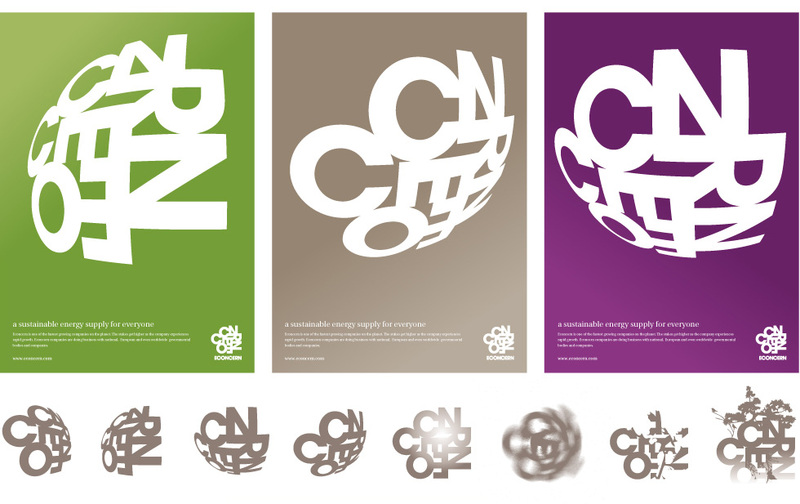 The symbol, which is made up of the existing letters in the monogram composed in a new order, thus represents Econcern's solutions. By virtue of its abstraction, the symbol allows the audience their own interpretation of it, while at the same time encompassing both rational and emotional notes of math, intellect, play and chaos; thus the unique symbol becomes the main element of the identity and the source of endless possibilities.